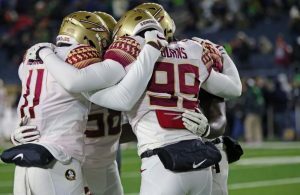 The ACC Indoor Championships had plenty of drama, coming down to the last event as the Florida State men defended their championship with a co-title while the women fell short of a co-championship after a controversial ruling. A controversial call in the final event of the 3-day championships cost the FSU women a share of the ACC title, which would have been a second straight. 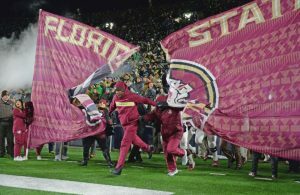 In the final event on Saturday, FSU finished third in the 4-by-400-meter relay, but was disqualified, giving Miami the ACC crown. Virginia Tech finished third, followed by Louisville and Duke. Miami finished with 91 total points to 85 for Florida State. 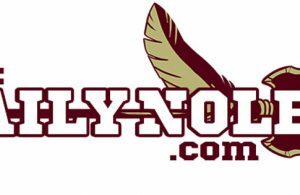 The FSU men finished tied for first with host Virginia Tech with 113 points. The FSU men won the 4-by-400-meter relay to share the ACC crown. The first medal of the event for FSU came on Thursday in the distance medley relay as the women claimed second behind Virginia Tech. It was also on the women’s side that Florida State claimed its first victory of the championships as Rougui Sow, a senior, claimed the ACC title in the long jump. 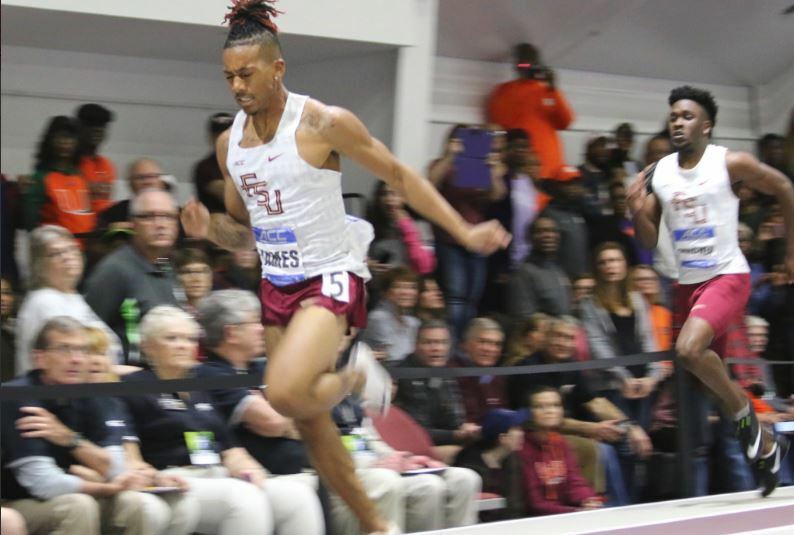 FSU junior Cortney Jones claimed third place in the 60-meter hurdles on Saturday while sophomore Trey Cunningham claimed the ACC championship in that event on the men’s side. FSU freshmen DaeQwan Butler and Karimah Davis finished second in the 400 meters on the men’s and women’s side, respectively. Ka’Tia Seymour, a sophomore, got the first win for the FSU women on the final day by claiming first place in the 60 meters. Kashaun James did likewise on the men’s side for the Seminoles, edging out Miami’s Raheem Chambers by .01 seconds for the ACC crown. In the women’s 200 meters, Seymour and Davis would finish first and second overall. The FSU men took all three medals in the event with junior Kasaun James finishing ahead of freshmen Bryand Rincher and Jhevaughn Matheson. Militsa Mircheva, a senior cross country star, claimed third place for the Seminoles in the 3,000 meters. Both FSU teams will advance to the NCAA Indoor Championships, which begin on March 8 in Birmingham.